Beatpad Web Alpha Version 0.4 is now available for everyone, this version introduces a tutorial which will help you know what Beatpad has to offer as well as give you more information on what everything does, so that way you can start using Beatpad as fast as possible. 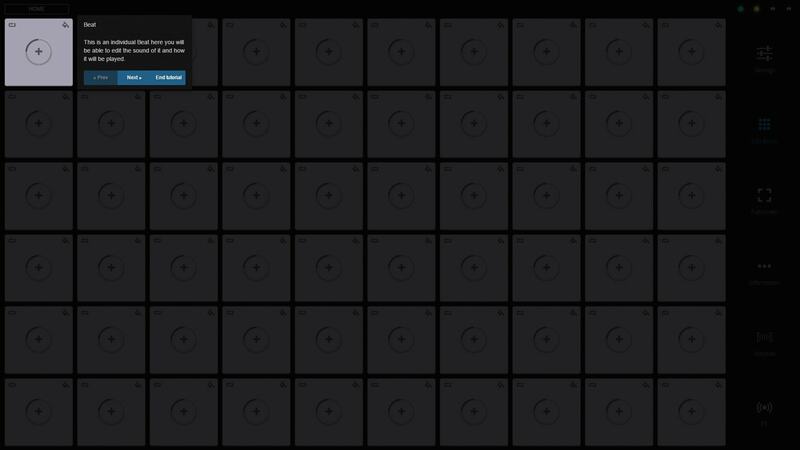 The tutorial for now is on English and Spanish but soon will be available on the other languages Beatpad have. 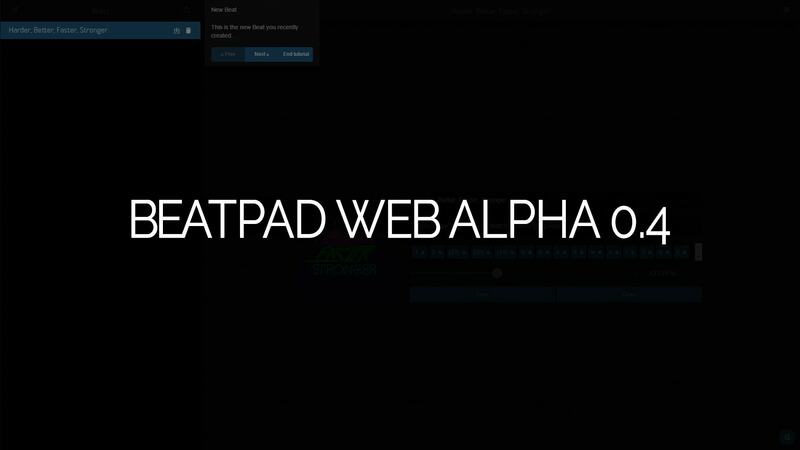 The tutorial starts automatically the first time you load Beatpad Web Alpha. After you dismiss it it will be gone for ever, so make sure to pay attention to very part so that you learn everything of it. It describes how to create your first new beat, how to impor, export and more. It will introduce you over the general functions of Beatpad that will help you familiarize with Beatpad. It will guide you through the basics on what a Beat is made of and what you can do with it, such as "export", "delete" and also fill its information. 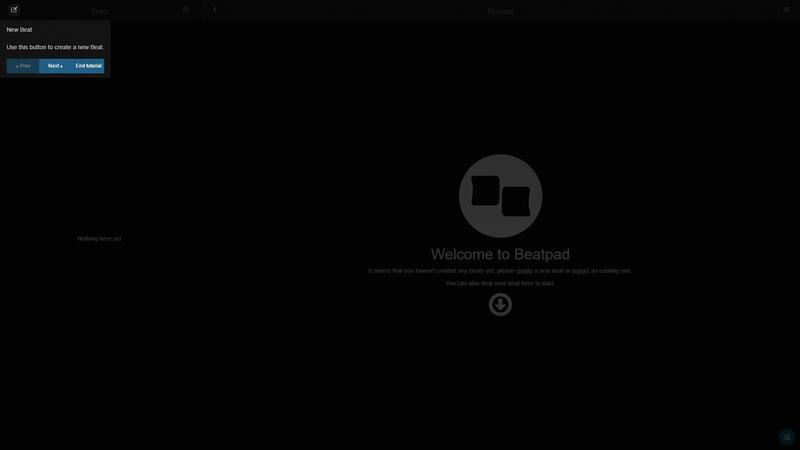 It also tells you how to start Beatpad. 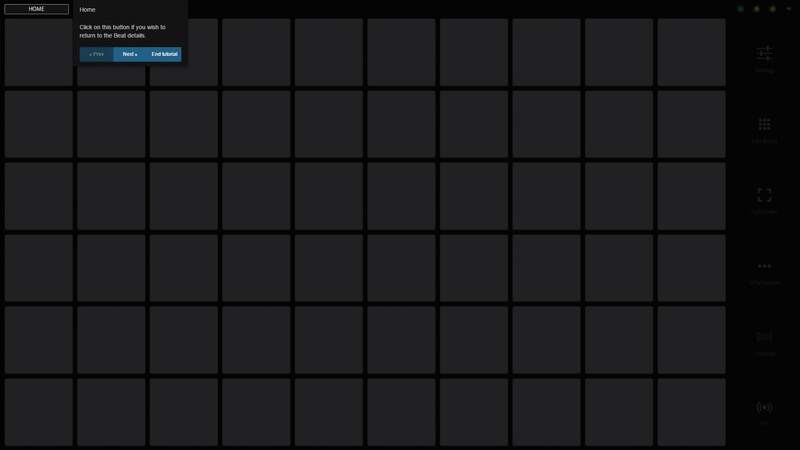 This will tell you what every button on the main Beatpad does, pretty simple and clear. It will guide you into every aspect of what everything does, so now you will know the basics on how the Beat editor works. And this concludes on what the tutorial comes with. In the future, when new features come the tutorial will be updated so that you know everything about the new features and such. Remember this tutorial comes at the moment on English and Spanish only, the other languages will be included soon. Adds tutorial overlay to the app. Fixes the order in which some assets are loaded. Fixed memory leak on Firefox. 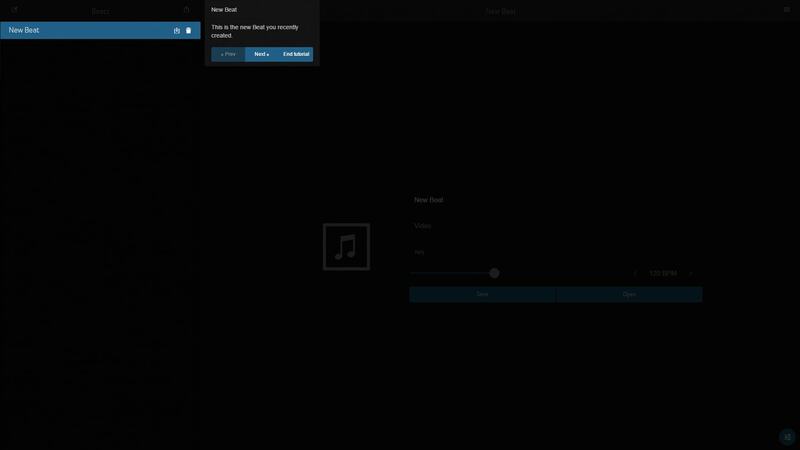 Fixed bug where you couldn't start Beatpad when a Beat was selected. Background images positioning fix [WIP].